Nigeria will soon legalize the use of bitcoin for business transactions. Bitcoin has seen growing adoption in Nigeria, especially since the economy fell into recession earlier this year following much lower global oil prices. The use of digital currencies like Bitcoin is continuing to grow around the world and many countries are already tapping into its potential. For a country’s business to remain relevant, it must keep up with the latest technology and tools. As we enter the so-called era of ‘fintech’ (financial technology), the finances of your businesses must be reviewed as well. This was why, Alhaji Umaru Ibrahim, the Managing Director, Nigeria Deposit Insurance Commission (NDIC), on Friday said the commission and the Central Bank of Nigeria, CBN had set up a committee to look into the trending “digital currency, ‘bitcoin’. The theme of the workshop is ” Economic Recession and the Nigerians Banking Sector: Opportunities, Challenges and the way Forward”. “We will look at its advantages and disadvantages, what it means for the payment system and what it means for safety and security of customers. “We will also look at what it means for money laundering, anti-corruption, crime and measurement of money /near money instrument for the economy. Ibrahim said ‘bitcoin’ included what is being called blockchain technology-based products in the market. He said that a lot of Nigerians had already started patronizing bitcoin, stressing that ‘it had started to creep in and nobody could stop it. “If you are a subscriber, you only know yourselves and they give you a bit of the bitcoin and in some countries, you can convert it to cash. “You can make payments with it because it has been recognized and one of the famous ex-chief executives of Barclays PLC, Antony Jenkins, have joined the group’s board of directors,” recognized Ibrahim said. On the current problems regarding the emergence of wonder banks, Ibrahim said NDIC would not relent in calling on Nigerians, educating and sensitizing Nigerians on the dangers of patronizing wonder banks. He urged the media to help and continue to educate the public not to in any way patronize institutions that were not licensed by the Central Bank or insured by the NDIC. On financial inclusion, he said although the success recorded was not much but there had been an improvement in the area of financial inclusion in the country. “But we have a very long way to go and it is your responsibility, as journalists, to continue to help educate Nigerians on the advantages of not keeping their money under their pillows and mattresses or in some cases in soakaways and ceilings. “We know that people fear electronic fraud, but I can assure you that CBN and the banking community are doing everything possible to block all loopholes associated with mobile banking. 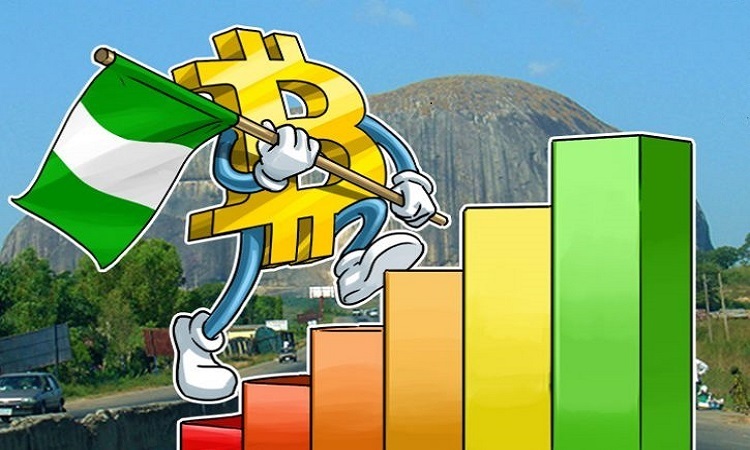 The economy’s contraction by 2.06% between April and June 2016 has increased concerns regarding Nigeria’s banking system, with the nation’s currency greatly devalued, sending bitcoin at an all-time high of $1,228.09 in Nigerian money, according to the lowest offer on local bitcoins. Bitcoins can be the key to your financial breakthrough, do not let this great opportunity pass you by. We have all heard the story of the Norwegian man (a student) who purchased $27 worth of bitcoin in 2009. With just $27 then he was able to purchase 5000btc, he forgot about his investment because it’s so little, until 2016 when bitcoin became widespread, his $27 has turned to $886,000. Bitcoin grew from $0.008 in 2009 to $1250 in 2017 that’s over 15,625,000% in 6years. That’s the greatest return of investment every witnessed on earth. Those who invested in it all made massive profit from it. According to Richard Branson, CRYPTO CURRENCY will transform the world. Dangote, one of Africa’s wealthiest takes risk, and he’s never afraid of new investment. Are you still waiting? Call or whatsapp me on +2348103953855 and buy bitcoins today. The truth is that bitcoins and tbc will keep rising so you can never loose.